From the first gameplay trailer, Dishonored intrigued me. The art syle, atmosphere, gameplay, and overall story that I viewed peaked my interest. I recently completed my first run through of the game and can't wait to play it again. I haven’t played a game like Dishonored for a long time and usually stealth action games are not my cup of tea. For me to be drawn into a genre I usually don’t play at all, the game has to be captivating, and Dishonored surely delivers. Read on for my thoughts on the game, the good and the not so good. The epitome of first world problems. There are too many good games coming out in too short span of time and I don't have time to play all of them. Furthermore, with two of them being multiplayer focused shooters I'm not sure I want to play both simultaneously I've already made my peace with the fact that Assassins Creed 3 will have to wait but trying to get to a point where at least my close friends think I'm mediocre at a FPS requires dedicating yourself to one game. How is one to choose? With my recent conversion from an iPhone to the Samsung Galaxy S3 (which is great by the way) I've come across a few great games in my short time with the phone. Dungeon Village is one of those great games. Dungeon Village is City Sim/RPG available on both Android and iPhone. The object of the game is to build a village in which characters of the world can live in while exploring dungeons, collecting items, battling monsters all while helping your village grow. This highly addictive game is well worth the $5 price tag and once you start playing you'll find it almost impossible to put it down. I apologize in advance for your new lack of productivity. Blood Brothers: A cell phone game worth your time? It's no secret that more and more people are gaming on their phones. In fact 33% of all smartphone users are gaming on their phones thanks to Iphone and Android. In years past, the quality of games you could get on these devices really hasn't been up to par with mobile gaming platforms like the PSP or Nintendo DS. Recently; however, there seems to be an influx of console/PC developers porting their games to cell phones with mixed results. We also have seen some relatively unknown developers start to produce some quality titles. Allow me to share with you one such game, Blood Brothers for Android. PAX East badges went on sale October 7th. By October 9th the three day badges were sold out. Single day passes are still available here. If you've never visited PAX I would highly recommend it. It's a great weekend with like minded people. I've been to PAX East all three years that it's been in Boston, it gets bigger and better every year. Penny Arcade truly aims to out due themselves every year. 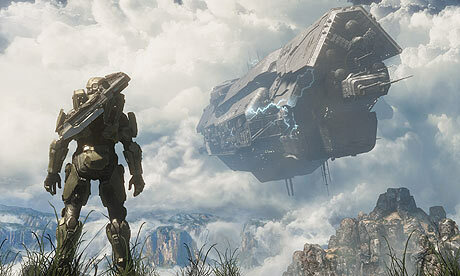 Read on for some information about PAX and some helpful tips for those first timers among us. Hotels are already selling out! I recently purchased the Asus Zenbook Prime UX31a-DB51. During my previous Ultrabook post I spent a lot of time talking about the Acer TimelineU M5. After going hands on with the TimelineU at a local computer shop my quick conclusion was its not a Ultrabook, at least not in my view. It might meet the requirements to be branded as one but I believe anyone who is attracted by the word Ultrabook will be extremely disappointed in what they pick up. The TimelineU M5 is a skinny laptop to be sure however it's still hefty and underwhelming even for the price. I bought my first Ultrabook recently, and it includes a Intel 4000 graphics chip. 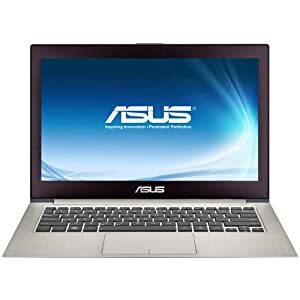 This site is a gaming blog and I'm a gamer, let's talk about what the Asus Zenbook Prime does and does not bring to the table in terms of gaming. Does the Intel 4000 finally allow gamer to purchase an integrated graphics laptop without sacrificing gaming? Sony should be asking themselves one fundamental question as they gear up for their next generation console launch. Why should consumers purchase our new Playstation? 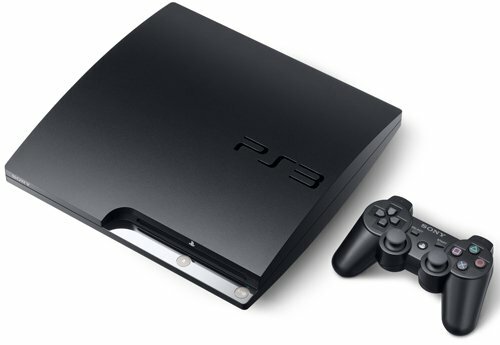 The market has shifted significantly since the Playstation 3's launch - more people are gaming on their phones, on their tablets and perhaps more significantly, on their PC. The current generation of systems are clearly showing their age and anecdotally you will find numerous cases of gamers buying a gaming PC because the consoles feel so dated. Furthermore, why buy a Playstation 4 and not an Xbox 720 or even the Wii U? Here are what I believe are the main features and changes that Sony needs to nail in order to be successful in the coming generation of consoles. Over the weekend I picked up the game Total War Battles: Shogun off Steam for $4 and I have to say I've been pleasantly surprised. This mobile game port to PC while short, is a good bang for your buck and certainly worth the download. If you're into puzzle games and the Total War series, this is one game you should take a look at. Guild Wars 2 is an impressive entry into a flooded MMO market bringing changes that are a breath of fresh air. I’m currently 50 levels into the game. I feel as though I have experienced enough to do a review of the game. While I have only obtained level 50 thus far the game has been out a month now and there are plenty of level 80 characters, read on for my thoughts on the game.